HUPlayer is a powerful cross platform and cross browser media player which supports playing almost all popular digital media formats and DRM-X 3.0 protected files. It No Spyware, No Adware, No Advertisement. Cross platform: Support Windows, Mac, Android and iOS. Requires Android 2.3 or later, with ARMv7 Processor. 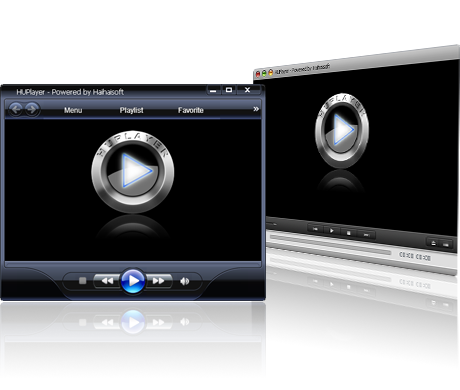 Note: For playback encrypted files, currently we only support mp3, mp4, wmv, hup file format. HUPlayer is a powerful cross platform and cross browser media player which supports playing almost all popular digital media formats and DRM-X 3.0 protected files. How to protect audio video file? Play All Major Audio/Video Formats. Video Formats Support Windows Media (WMV, and ASF), Flash Video (FLV), Real Media (RM, RMVB), MP4 (H.264 codec), WebM, AVI, MPG, 3GP, MOV, NUT, OGG, OGM, MKV. Audio Formats support: MP3, WMA, AAC, AC3, ALAC, AMR, DTS, RAM. Fast Launch Speed, Save CPU and Memory Resources. Support Full HD (High Definition) Video Playing. Clean Software. No Spyware, No Adware, No Advertisement. Cross platform: Support Windows, Mac, Android and iOS. Support playing DRM-X 3.0 protected Audio/Video files. iOS Requirements: iOS 7.0 or later. Compatible with iPhone, iPad, and iPod touch. Support Languages: English, Spanish, German, Russian, Traditional Chinese and Simplified Chinese. 1. Update signature for HUPlayer for android. Please uninstall HUPlayer before install. 1.User can click video to play/pause when full screen mode is off. 2.Double click mouse in video go to full screen mode, and in full screen mode double click mouse to exit full screen. 1.Dynamic watermark text support UTF-8 encoding. 3.Solved few low hardware configurations PC can not play video problem.